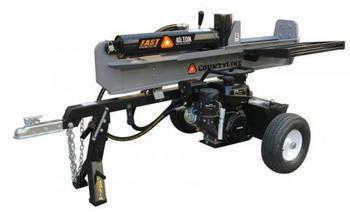 YTL International of Cerritos, Calif., is recalling about 1,460 County Line log splitters. The firm has received three reports of the tongue box assembly’s welding cracking. No injuries have been reported. This recall involves model year 2018 County Line brand 40 ton hydraulic log splitters with model number YTL-016-93. The log splitters are black and gray with Country Line printed on the hydraulic cylinder. Units with serial numbers ranging from SP20LSP400118060001 through SP20LSP400118060728 and SP20LSP400118080001 through SP20LSP400118080728 are included in this recall. The log splitters, manufactured in China, were sold at Tractor Supply Company stores nationwide from August 2018, through October 2018, for about $2,000. Consumers may contact YTL International toll-free at (888) 723-6534 from 9 a.m. to 5 p.m. (PT) Monday through Friday, by email at Parts@ytlinternational.com or online at www.ytlinternational.com for more information.